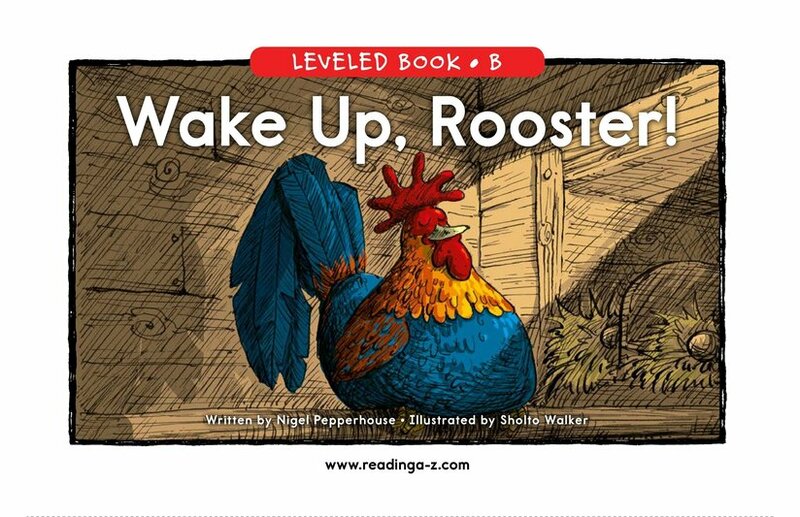 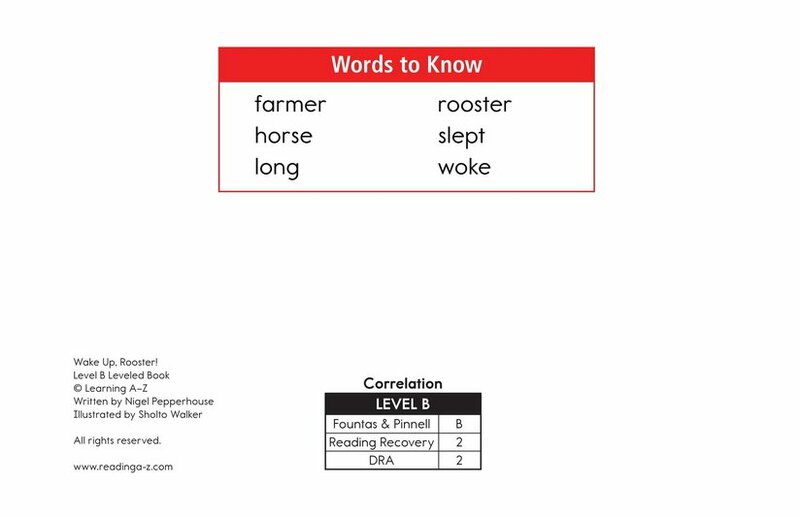 > Books > Leveled Books > Level B > Wake Up, Rooster! 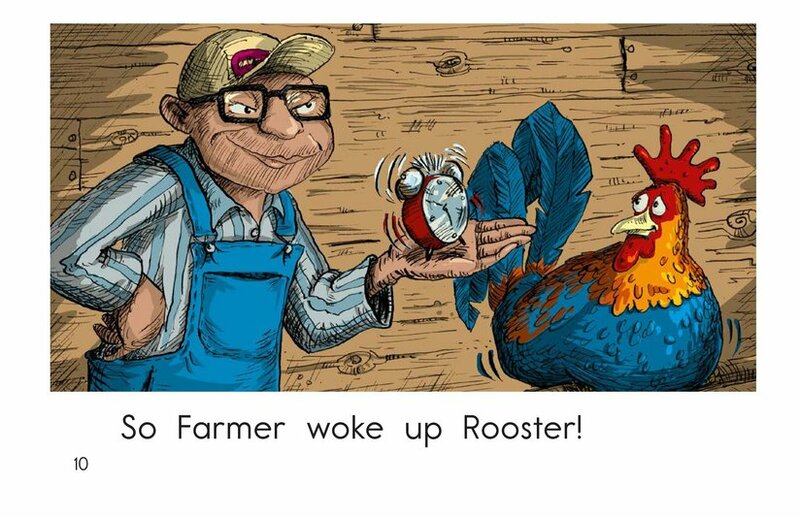 It is Rooster's job to wake up everyone on the farm each morning. 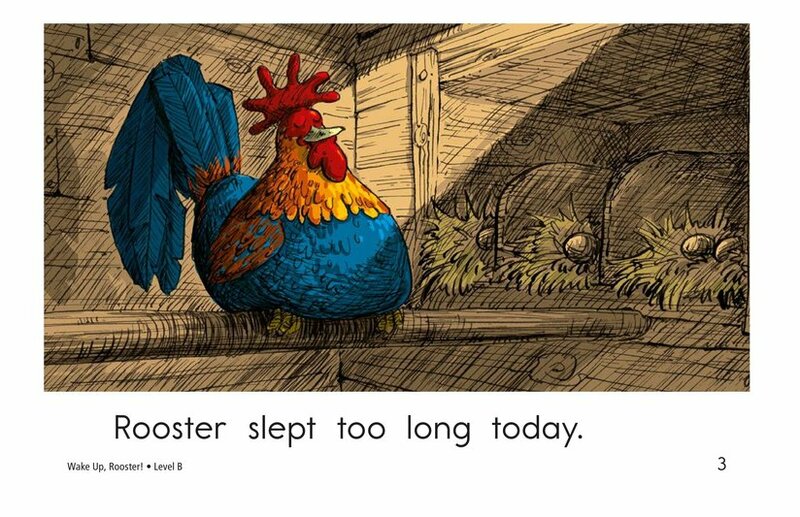 What happens when Rooster sleeps too long? 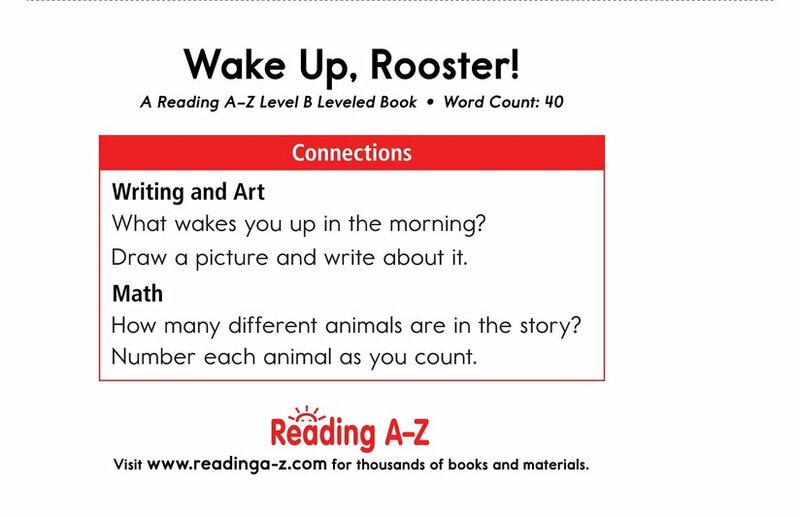 In Wake Up, Rooster!, a funny chain of events is set into motion when Rooster sleeps in. 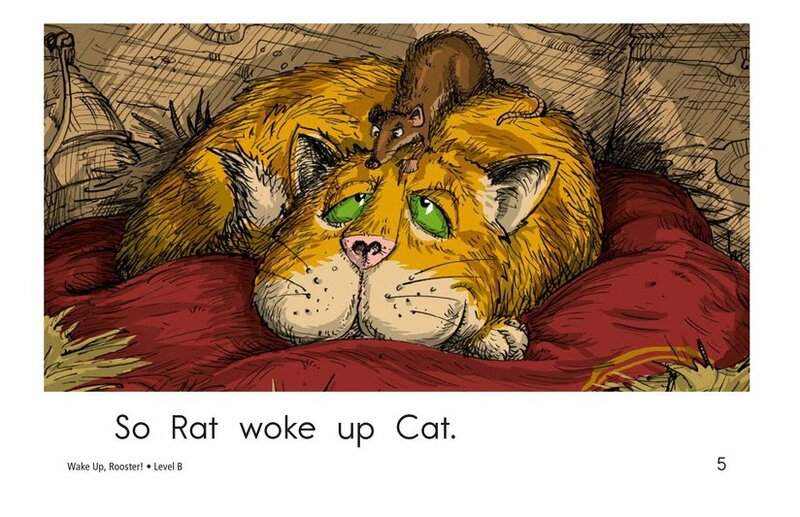 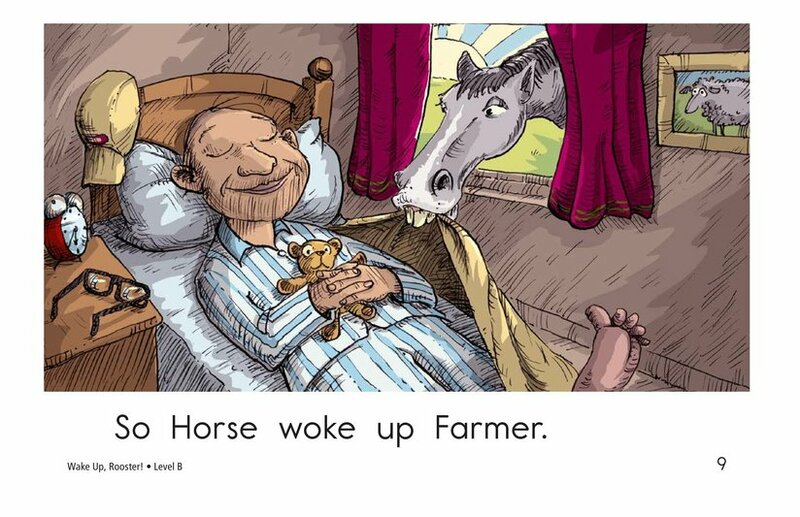 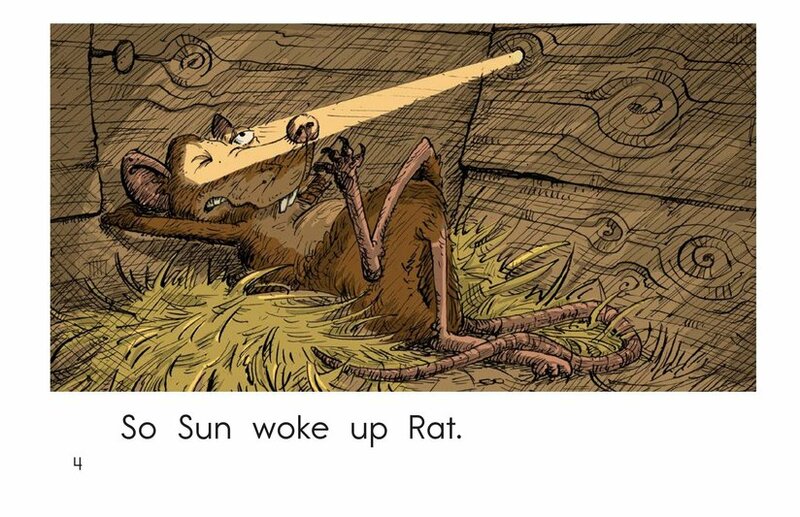 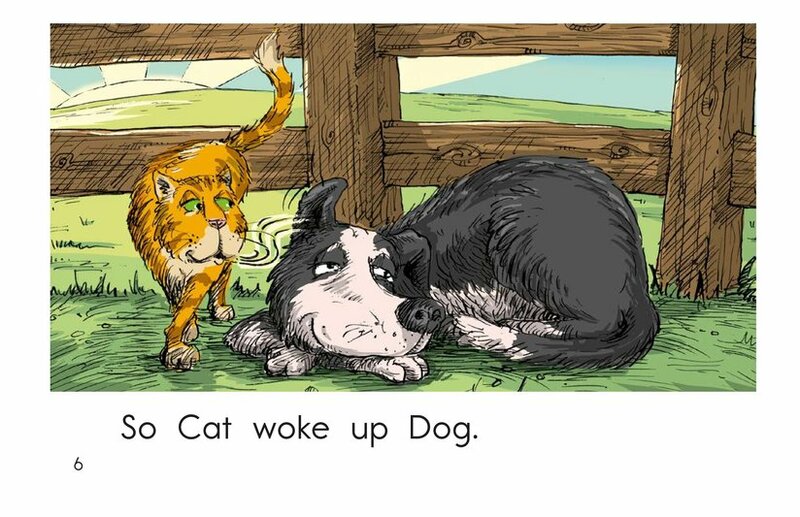 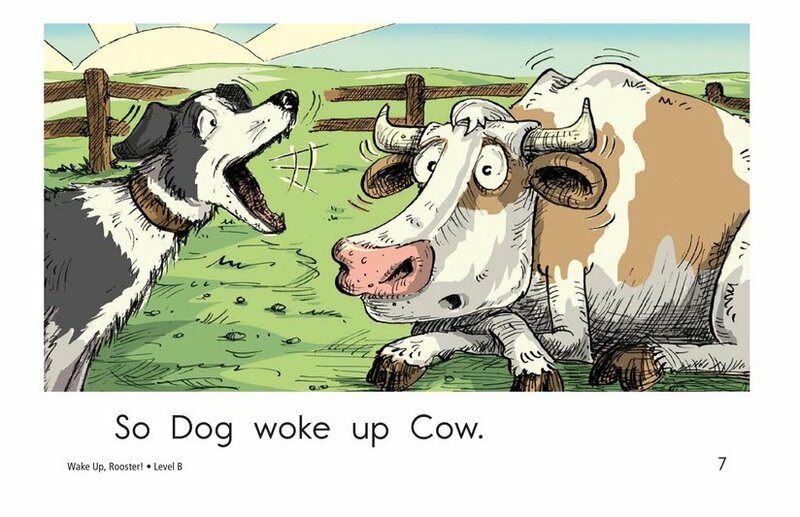 The book uses detailed, colorful illustrations; high-frequency words; and repetitive sentence patterns to support readers. 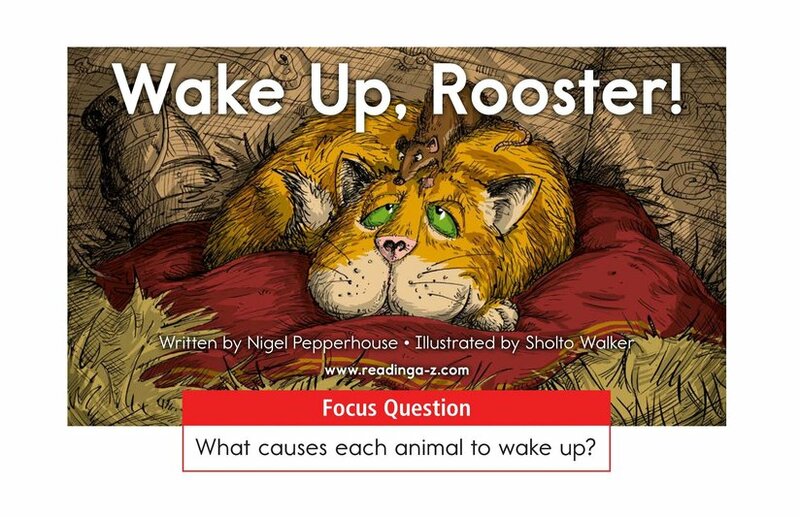 The book can be also used to teach students how to identify cause-and-effect relationships in a story, as well as how to locate and use periods.